Dwell Luxury Cherry Hill apartments for rent offer a completely unique experience in 21st century living. Everywhere you want to be is within easy reach. Situated on route 70/Marlton Pike East, Dwell Cherry Hill is near NJ Transit and PATCO. 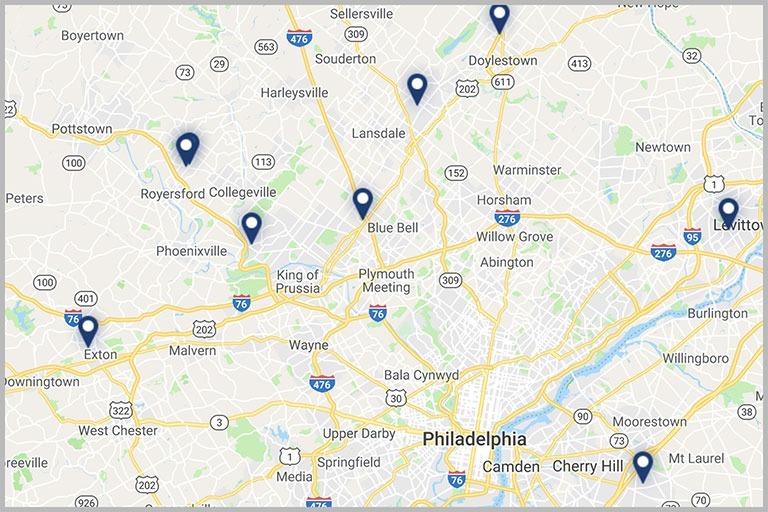 Our convenient location makes our apartments in commuting distance to Center City Philadelphia, South Jersey, Camden County, and Atlantic City via routes 70, 73, I-295, and the NJ Turnpike. However you prefer to travel, your convenience is absolutely ensured. Our contemporary apartments offer everything you could ask for, plus some things you may have only dreamed of! You’ll love our granite countertops, washers and dryers in each residence, an opulent clubhouse featuring an exceptional fitness center and swimming pool retreat. A private, fenced dog park provides the perfect place for your best friend to get some fresh air and exercise, and maybe even make some new friends! Plus, our community is located close to fun Cherry Hill attractions. Whether you choose a one or two bedroom pet-friendly apartment, you’ll find an abundance of space and privacy in our well-designed floor plans. Dwell Cherry Hill is LEED® certified to the Silver level for homes and provides the latest in green and environmentally friendly building and design including Energy Star® appliances, Level 2 electric car charging stations, and 6 ft. Low-E & Argon windows. Dwell Cherry Hill is owned and managed by The Klein Company, whose reputation for excellence in apartment management has been earned by combining skilled management teams with a company-wide emphasis on customer service. As a Klein Community, Dwell Cherry Hill assures its residents the highest standards of quality and service and responsive, caring property management. If you’re looking for Cherry Hill, NJ apartments for rent, call Dwell Apartments to schedule your tour today! 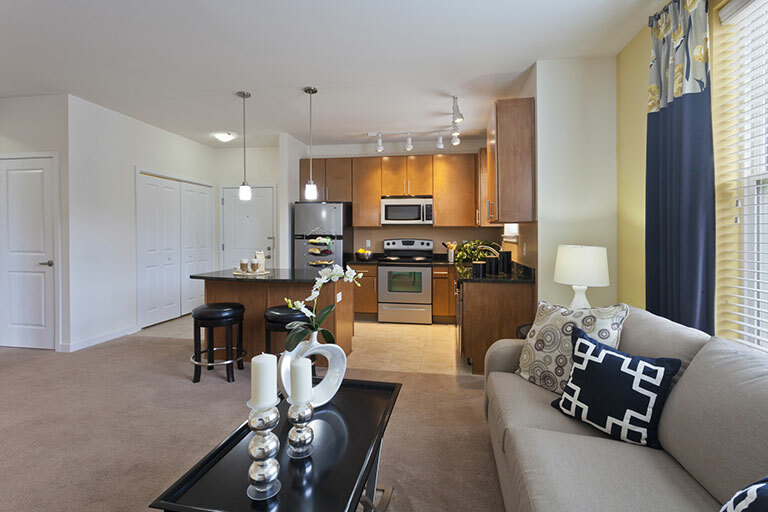 Our contemporary apartments in Cherry Hill offer one- and two-bedroom floor plans with soaring ceilings, granite countertops in each gourmet kitchen, and Energy Star® appliances throughout. Space is never limited with new large closets with dust-free organizers. Each bathroom has a solid surface Swanstone contoured sink with brushed nickel fixtures for an elegant look. Bring your pets to Dwell Cherry Hill! We are dog-friendly and cat-friendly—we even have a fenced-in dog park for Fido. At Dwell Cherry Hill, you’ll never have to worry about parking again. We offer private garages to keep your cars protected from the elements. Relax on your patio or balcony after a long day at work (based on availability at time of contract). Unwind by our beautiful pool retreat with free WiFi or stroll our landscaped grounds. Take advantage of our eco-friendly green building initiatives at Dwell Cherry Hill apartments, including our electric car charging stations. 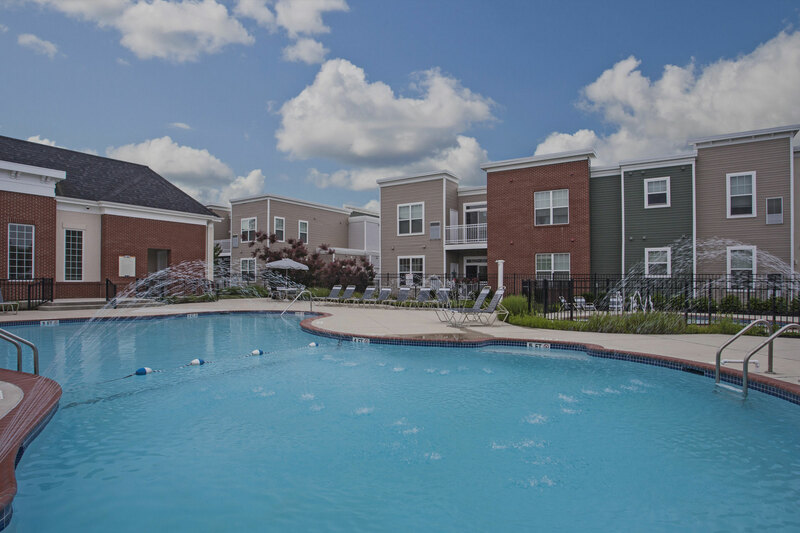 Our apartments offer luxury amenities at a comfortable price in a convenient location. Call us today to set up a tour of our apartments in Cherry Hill! 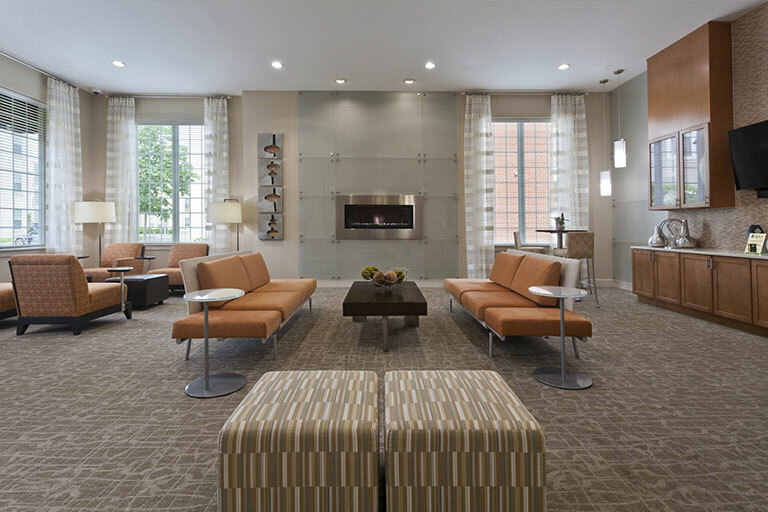 The luxury amenities at our Cherry Hill apartments will make you feel right at home! Enjoy soaring ceilings, elegant tiled bathrooms, fashionable ceramic tiles in the kitchen, foyer and bathrooms, stainless steel appliances, granite countertops, and designer kitchen cabinetry. You’ll love your private entrance with a patio or balcony. All our Cherry Hill apartments come with large capacity washer and dryers to make laundry days a breeze. Bring Fido along and enjoy the fenced in on-site dog park. Kitties are welcome too.